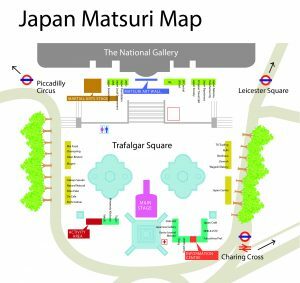 We are delighted to welcome old favourites and new stalls to 2018 Japan Matsuri. Use the plan above to plan your trip (click on map to enlarge to find your favourite stalls). Food stalls are located in the centre of the Square, on either side of the famous fountains. 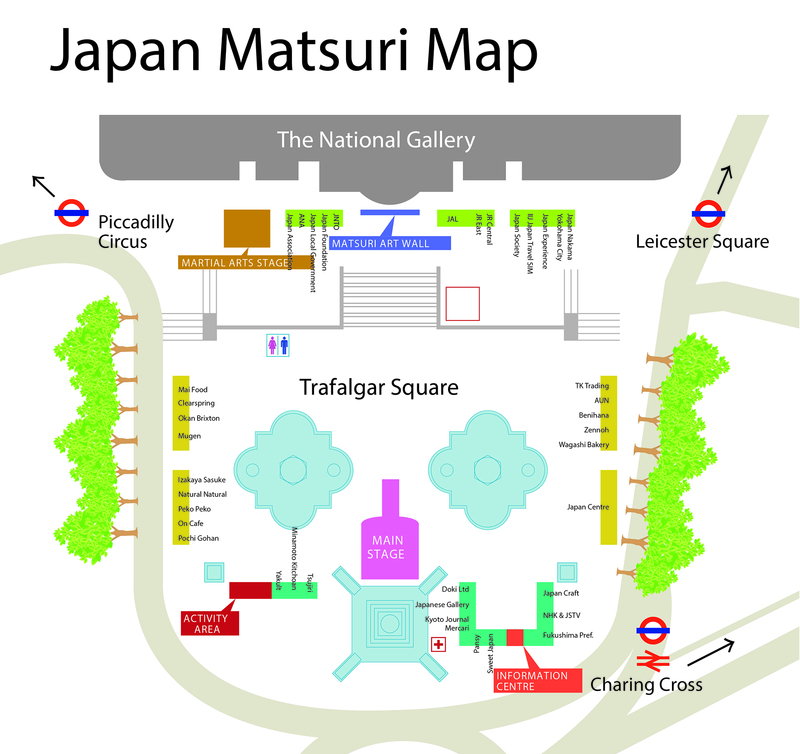 Non-food stalls are in two groups: North Terrace stalls, in front of the National Gallery and South Side stalls, located on either side of the stage. JAPANESE GALLERY Showcasing original Japanese woodblock prints alongside vintage anime cels used in the production process. Mercari UK Launching new marketplace app from Japan!